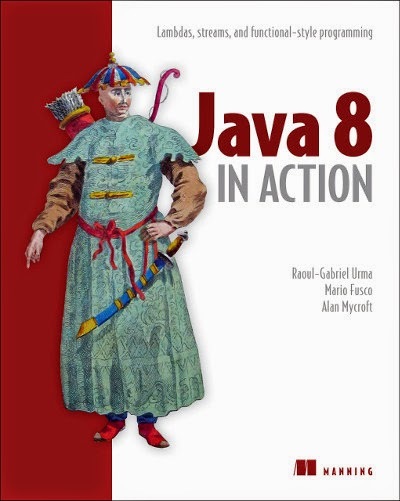 Java 8 in Action is a clearly written guide to the new features of Java 8. The book covers lambdas, streams, and functional-style programming. With Java 8's functional features you can now write more concise code in less time, and also automatically benefit from multicore architectures. It's time to dig in! Every new version of Java is important, but Java 8 is a game changer. Java 8 in Action is a clearly written guide to the new features of Java 8. It begins with a practical introduction to lambdas, using real-world Java code. Next, it covers the new Streams API and shows how you can use it to make collection-based code radically easier to understand and maintain. It also explains other major Java 8 features including default methods, Optional, CompletableFuture, and the new Date and Time API. Raoul-Gabriel Urma is a software engineer, speaker, trainer, and PhD candidate at the University of Cambridge. Mario Fusco is an engineer at Red Hat and creator of the lambdaj library. Alan Mycroft is a professor at Cambridge and cofounder of the Raspberry Pi Foundation. Java 8: why should you care?